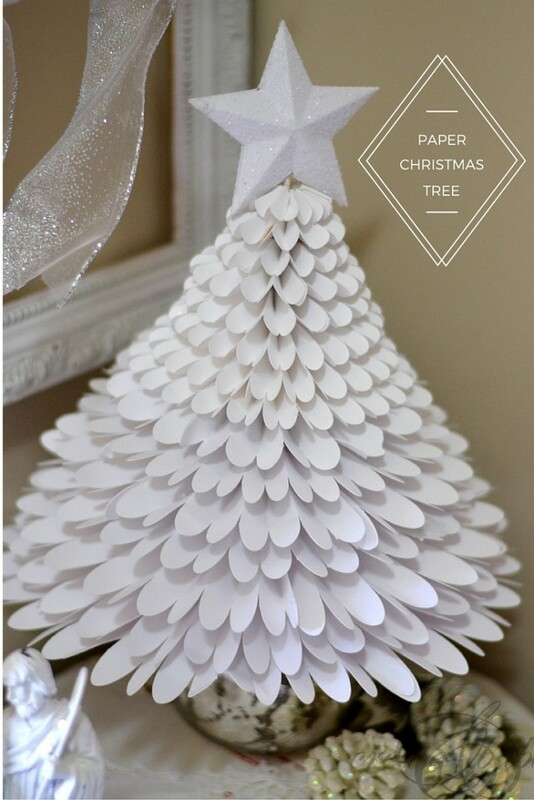 I made this white paper Christmas Tree last year and it’s one of my favorites. I’m so glad it survived the year packed away in a bin! 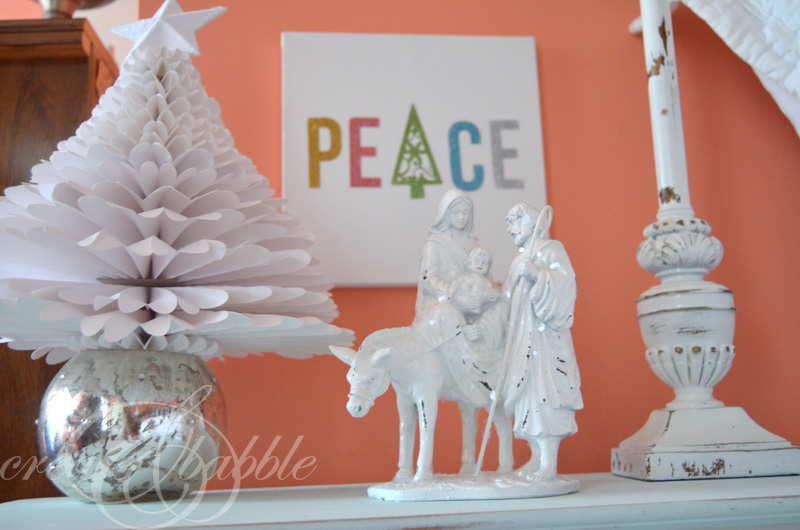 It’s made just like the colorful paper medallion Christmas Tree that I made, but has a totally different look. 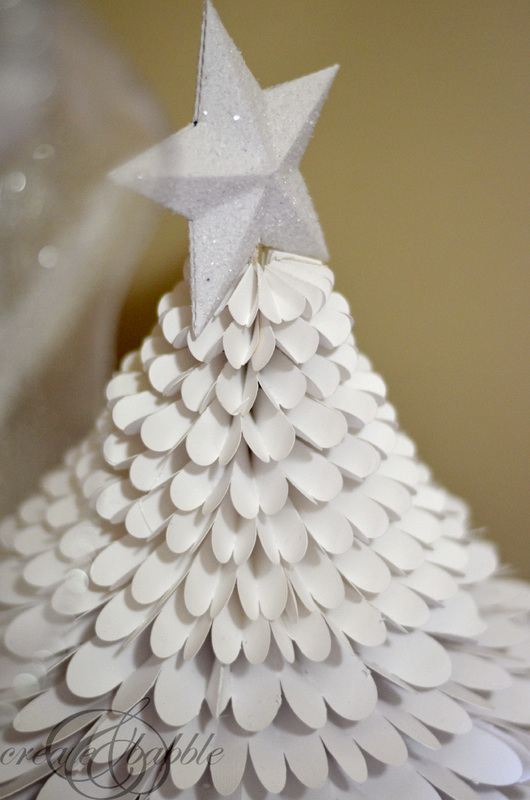 The edges of the paper medallions are rounded giving the tree a fuller, softer look. 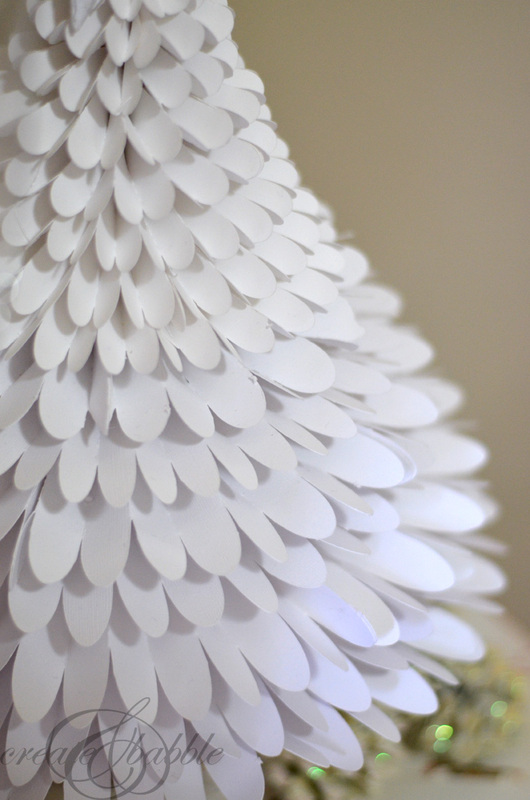 As I added more layers, I gently pushed down on the edges to give the tree a wispy, almost feather-like appearance. 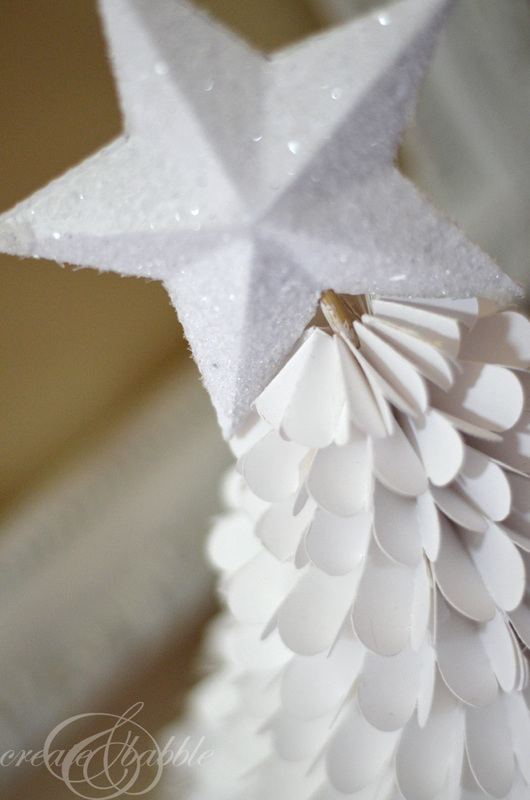 But I did get my glitter fix in by adding a white glitter star to the top. Last year, it was displayed on the entry table . . . But this year, it’s part of my master bedroom Christmas decor. 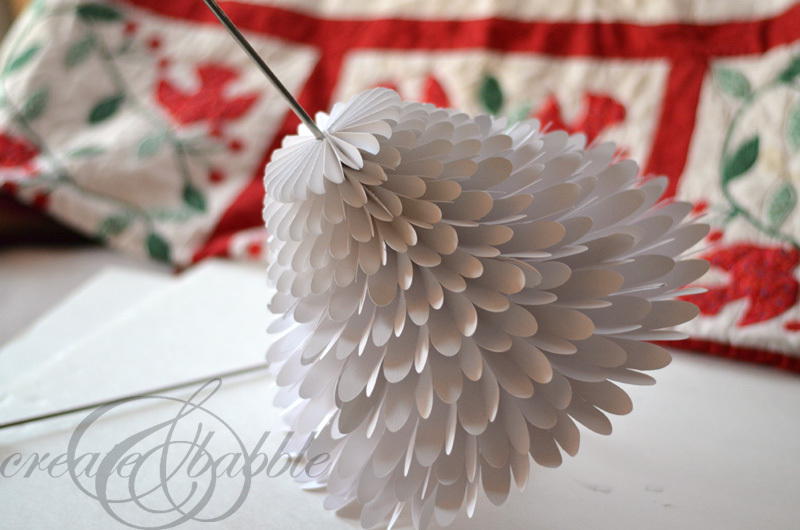 I love how it looks in the round mercury glass vase. What a very pretty tree. It looks so light and airy.As if its covered with snow for the winter. Wow Girl. 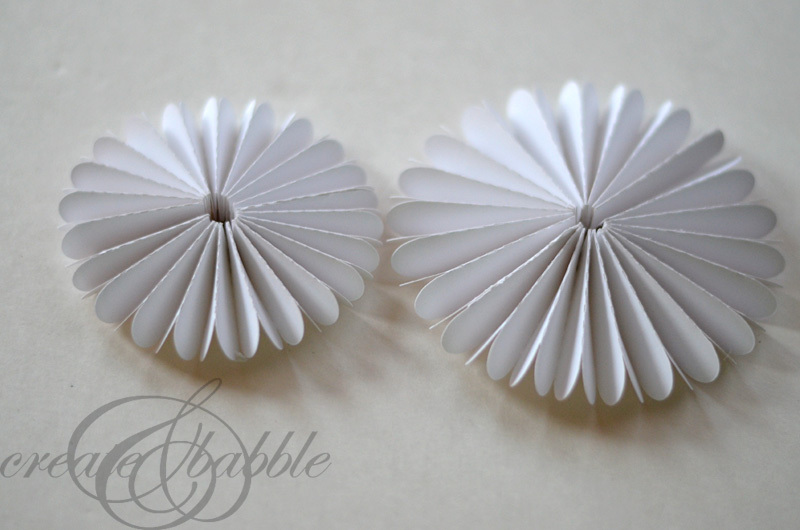 This is gorgeous and you have the patience of a saint! Thanks for sharing at You’re Gonna Love It. I’m going to feature it on my facebook page!